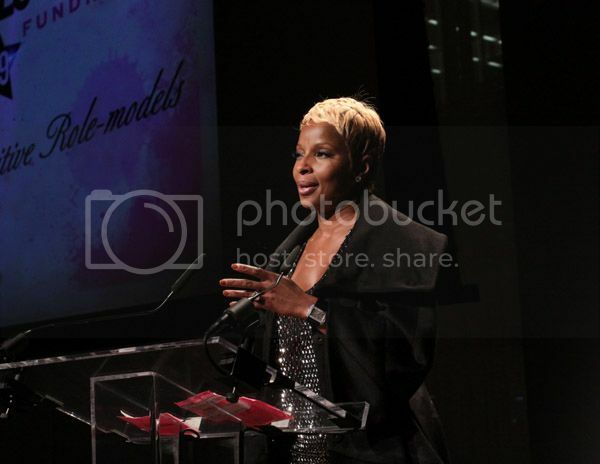 Mary J. Blige being honored at the 4th Annual Black Girls Rock! awards in NYC, October 2009. For the second year in a row, Grammy award winning songstress Mary J. Blige earns your vote for the #1 black celebrity philanthropist of 2009! This year, she opened up the Mary J. Blige Center for Women in her hometown of Yonkers, NY, and partnered with Gucci to create a charity watch, with proceeds benefiting her foundation, FFAWN (The Foundation for the Advancement of Women). If you have extra cash to spare this holiday season, check out the Gucci.com site for the limited edition "Gucci for FFAWN" twirl watch. Congrats to Mary J. Blige! 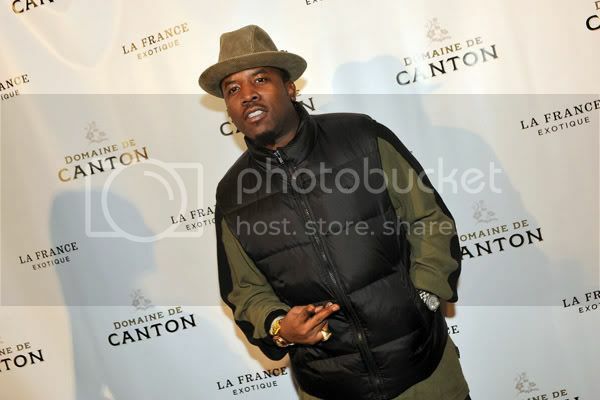 Coming in at #2 is Antwon "Big Boi" Patton, one half of the Grammy award winning hip hop duo Outkast. 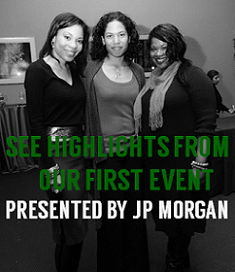 He along with his Big Kidz Foundation enhances the development of Atlanta area youth through the arts and humanities. 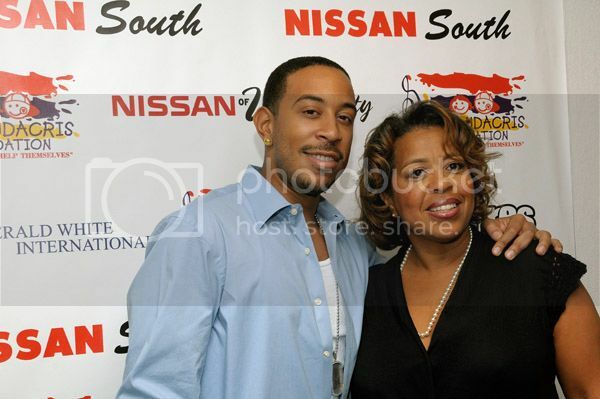 Hip hop artist Ludacris with his mother Roberta Shields, Executive Director of the Ludacris Foundation, at the annual Luda Day Car Giveaway in Atlanta this year. The Ludacris Foundation was busy this year-giving away cars and Thanksgiving dinners to metro Atlanta families, and honoring distinguished individuals at its annual benefit dinner in Washington, D.C. The foundation also won the top celebrity foundation website award for a second year in a row! 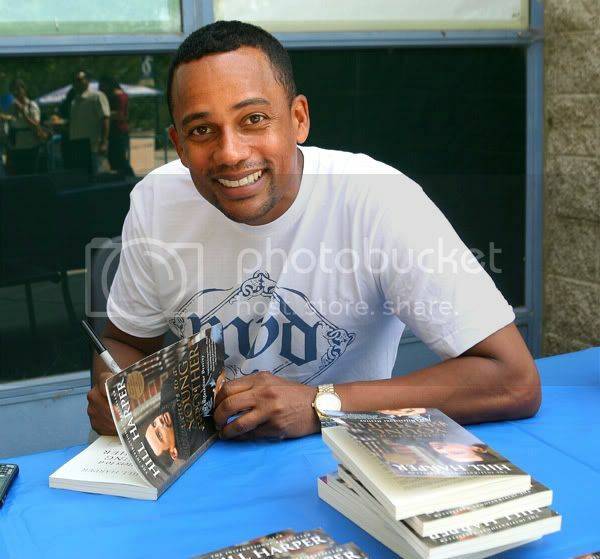 Actor and author Hill Harper makes the list for the third year in a row. This year, Harper focused attention to the current state of the black family in his new book "The Conversation." He shared in an excerpt from the book: ..."if we take a look at the data about how few single black men and women are building long term relationships and creating two parent households, the news is sobering. Whether we want to admit it or not, we are bearing witness to the extinction of the black family. We are in the midst of a crisis." 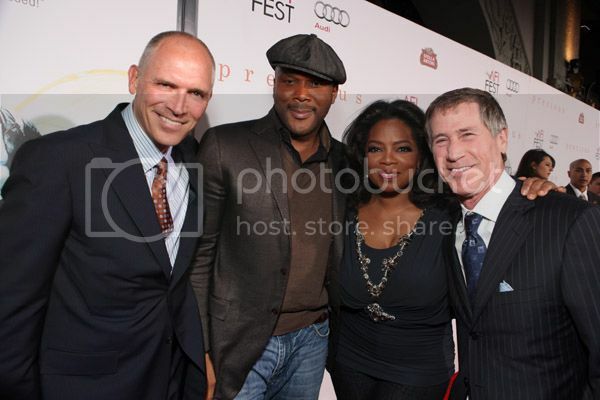 COO of Lionsgate Joe Drake, director Tyler Perry, Oprah Winfrey, and CEO of Lionsgate Jon Feltheimer arrive at the screening of "Precious: Based On The Novel 'PUSH' By Sapphire" during AFI FEST 2009 held at Grauman's Chinese Theatre on November 1, 2009 in Hollywood, California. Tyler Perry has seen his share of criticism for his portrayal of the character Madea in his top grossing films such as "Madea Goes to Jail," but one surely can't criticize his philanthropic efforts this year. He made a whopping $1 million dollar donation to the NAACP last month and announced plans to establish a foundation to support a D.C. based non profit. 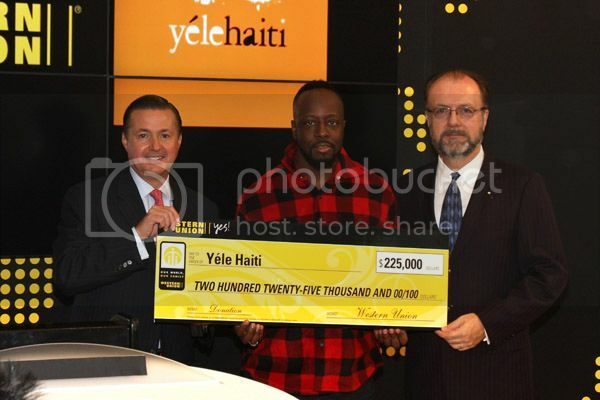 Executive Vice President and President of the America's Western Union Stewart Stockdale, musician Wyclef Jean and President of Yele Haiti Hugh Locke promote their special holiday strategic alliance at Western Union Times Square on November 9, 2009 in New York City. Did you know that Wyclef Jean, goodwill ambassador to Haiti has an eco-friendly shoe collection in partnership with Timberland? The Yele Haiti Collection is on sale now and for every shoe sold, $2 will go to the Yele Haiti Foundation to support restoration efforts in his homeland of Haiti. He shared with the Associated Press that he hopes the partnership with the company will inspire children and put a new face on his homeland. Check out the boots HERE. Tom Joyner makes the list for the first time, for his efforts in supporting HBCUs. To date, his foundation has provided more than $55 million dollars to help keep students in school. And in today's economic climate, this support is needed more than ever. The foundation recently announced their 2010 full ride scholarship, that will provide a high school senior with a full tuition waiver and stipends to cover room and board on campus, as well as books for up to ten semesters! Deadline is January 23, 2010. For more information visit HERE. Alicia Keys visits Dunbar High School in Washington, D.C. to celebrate Women's History Month, March 2009. 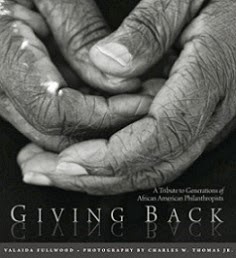 This year, Keys received the 2009 BET Humanitarian award for her philanthropic efforts with Keep A Child Alive, a non profit she co-founded in 2002 that provides life saving medicine, treatment, care, and support services to individuals and families impacted by HIV/AIDS in Africa and India. On World AIDS Day this month, she performed an exclusive, intimate concert where she announced the details of an amazing contest. Alicia is traveling back to Africa and is taking 5 people with her! To enter the contest, visit the website at http://www.keepachildalive.org/. Rounding out the top ten list is pop superstar Rihanna. After months of silence, she spoke out on the physical assault she experienced this year. In a Glamour.com article, she shared: "Domestic violence is a big secret. No kid goes around and lets people know their parents fight. Teenage girls can’t tell their parents that their boyfriend beat them up. You don’t dare let your neighbor know that you fight. It’s one of the things we [women] will hide, because it’s embarrassing. 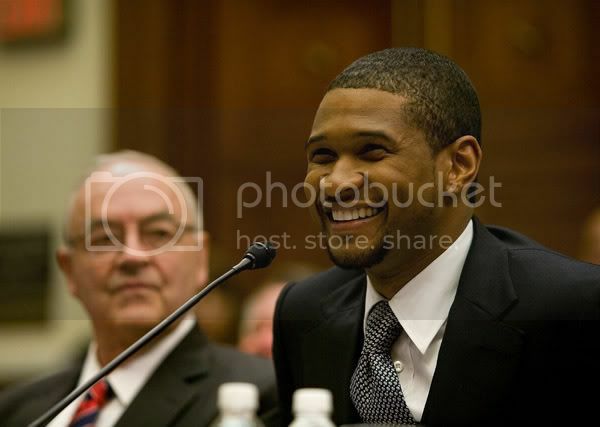 My story was broadcast all over the world for people to see, and they have followed every step of my recovery. The positive thing that has come out of my situation is that people can learn from that. I want to give as much insight as I can to young women, because I feel like I represent a voice that really isn’t heard. Now I can help speak for those women." Thank you to everyone who voted and be sure to visit the celebrity philanthropy blog roll on the home page!